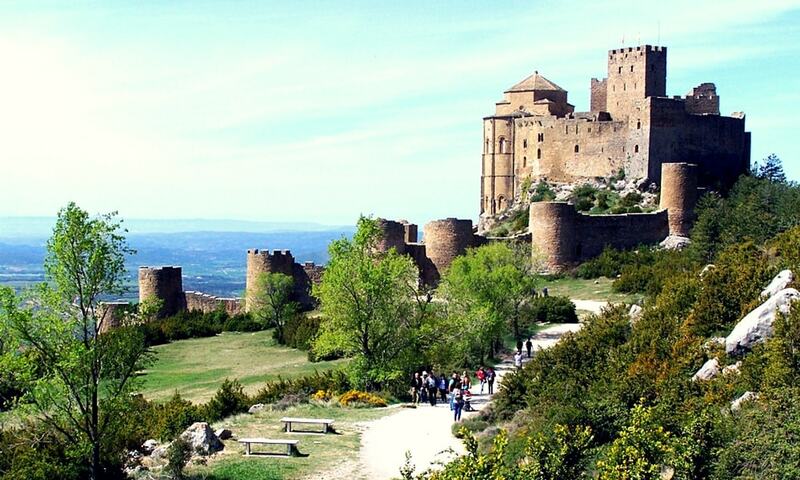 The Castle of Loarre is a Romanesque Castle and Abbey; it is one of the oldest castles in Spain. The complex was built largely during the 11th and 12th centuries, when its position on the frontier between Christian and Muslim lands gave it strategic importance. The castle's location on a rocky outcrop affected the layout; it was not possible to have one unified structure, and like many castles, Loarre was a collection of buildings bounded by curtain walls. The location appears in the 2005 epic film Kingdom of Heaven.